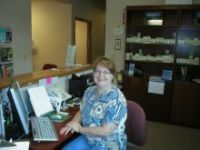 Mary Ann has been with Wilhelm Chiropractic since 2003 as a chiropractic assistant, receptionist and office manager. She will be more than happy to take your calls or questions, or to schedule an appointment for you. To schedule your appointment with the doctor, just contact our office at (330) 325-2575. There is a staff member available to answer the phone Monday, Tuesday, Wednesday and Friday, from 8 am to 6 pm. Voicemail is available if you need to call after hours. Leave a message and your call will be returned the next business day. We will be happy to promptly schedule you with a convenient time to see the doctor. For your convenience we also have an office map and directions available for you to print out.